Which are the study types you can follow with a German student visa? Which are the requirements to apply for a German student visa? What you can and cannot do while having a valid German student visa? 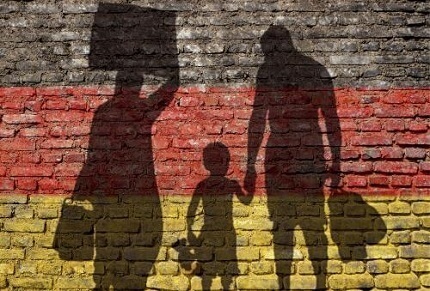 For how long you can stay in Germany with a student visa? You may get a German student visa if you’re a foreigner having received a letter of complete admission for studying at a German university, equally recognized institution, university of applied sciences, college of arts and music or other equally recognized higher education institution. 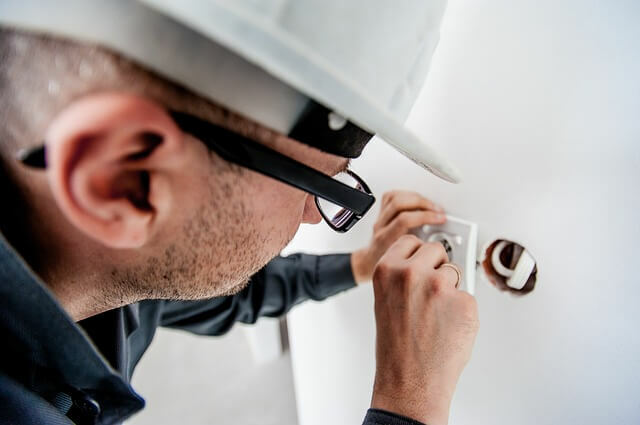 The studies which you can do with a German student visa are either full-time university studies or preparatory measures before such studies, i.e. Foundation course. German language courses for studies. State preparatory college ‘Studienkolleg’. A course you’ll have to undertake as a foreigner whose school-leaving certificate isn’t recognized in Germany. Once completing the course you’ll be sitting the test “Feststellungsprüfung”. If you’ll succeed passing the test, you will get a certificate which is known as a university entrance qualification. With that on your hand, you’ll be able to apply for university admission in Germany. Submit the application for a German student visa at the German embassy or consulate, or other intermediating application agencies in your country. 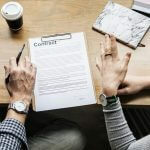 The decision about your application is based on the information and the supporting documents you provide. These documents have to be sent as originals, accompanied by two photocopies of each. Two duly completed national visa application forms. Two recently taken biometric portrait photographs. (Strict requirements, read our photo requirements page). Proof of admission into a study program. (Send any of the following). Letter of admission in foundation course. Issued by a Studienkolleg. Letter of admission in propaedeutic course. Letter of admission in a preparatory German language course. Authenticated certificates of earlier education. German university entrance qualification “Abitur”. If you’ve studied in a German education provider abroad. (If not, send the following documents). Recognized foreign academic qualification. It must show you have a qualification equally recognized as the German Abitur. Curriculum vitae. It has to be accompanied with evidences previous and current internship and work experiences, if any. Means of subsistence “Finanzieruungsnachweis”. The evidences you provide must show you have enough money to cover living, accommodation and study costs. (Send any of the following). Blocked bank account. One of the easiest and the fastest ways to open a German Blocked Account, is through Fintiba/Sutor Bank. 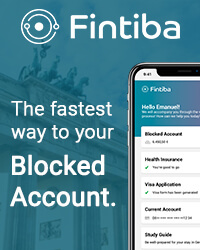 The blocked account provided by Fintiba is accepted by German embassies/consulates all around the world. Learn how to open a Fintiba blocked account. Letter of commitment by a local resident “Verpflichtungserklärung“. A person living in Germany, showing they’ll be covering your accommodation and/or other living costs while you’ll be here. Letter of declaration by a parent. It has to show their commitment to support you financially during your stay here. It must be supplemented by their bank statements of the latest 6 months. Scholarship awarding certificate. It must show you as a receiver and the amount of financial coverage granted to you by this scholarship. Covered health insurance. It must have coverage of at least 30,000 EUR and it must be valid for at least 3 months. Motivational letter. You’ll have to express the reason for choosing the specific university, study program. Mention also your study and future plans and how these studies will be improving your career and life. Marriage certificate. (Send this if you’re married). Support that with a birth certificate of any child (If related). Proof of having paid the visa application fee. The fee is 60 EUR. Proof of German language proficiency. (For German-only and mixed-language study programs). German Language University Entrance Examination for International Applicants (DSH). Test of German as a Foreign Language (TestDaF). Goethe Institute German Language Diploma (GDS). Proof of English language proficiency. (For English and mixed-language study programs). Test of English as a Foreign Language (TOEFL). Accepted results are PbT (paper-based test) 550 Points, CbT (computer-based test) 213 Points and IbT (internet-based test) 79-80 Points. The International English Language Testing system(IELTS). Accepted scores by German universities are 5 – 6.5. Apply for an extension of the student residence permit. This is possible if you haven’t yet completed your planned studies within the visa period, and you’ll be completing them in a reasonable time. Get a part-time job. You may work for up to 120 working days/year, even if you’re already working part-time in an academic institution where you are studying. Your work must not interfere with your study progress. Apply for a residence permit for job-seeking after graduation. 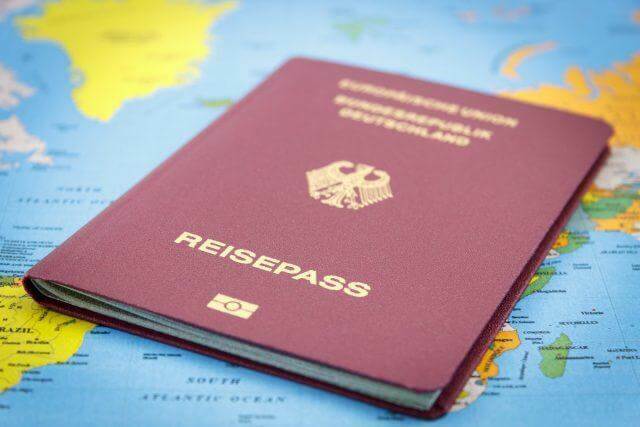 You’ll be eligible to apply for a residence permit of this type, only if you’ve successfully completed studies in Germany. With such residence permit, for up to 6 months after graduation, you’ll be able to search for a job or to get self-employed. You may get a temporary job while searching for a permanent job which directly matches your received academic qualification. Get a full-time job. You cannot get a job which requires for you to engage 240 working days per year. Despite this, you don’t qualify to apply for a work permit while being a student. Abandon study lessons. Failing to participate in study lessons may lead to cancellation of your eligibility to remain in Germany. With a German student visa you’ll be able to remain in Germany for the initial 3 months. Within this period, you’ll be required to apply for a residence permit to study. The maximum period you’ll be receiving through such residence permit is 2 years. You’ll also be given an opportunity to extend the residence permit, depending the length of your studies. There are few steps you’ll have to go through before beginning your studies in Germany. 1. 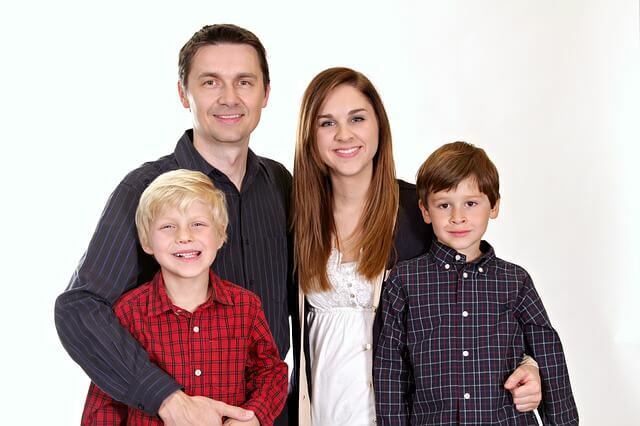 Find a permanent accommodation in Germany. Soon after arriving here, get yourself a permanent accommodation in Germany. You may get accommodated in a student residence, flatshare, or in an apartment rented on your own. The evidence of permanent address will be necessary in many future occasions. 2. Get yourself covered by a German health insurance ‘Krankenversicherung’. Get yourself covered with a health insurance policy, as this is a mandatory requirement for everyone living here. If you’re a citizen of a country issuing European Health Insurance Card (EHIC), you’ll not need to get a German statutory health insurance. This takes account of EU people, and citizens of Bosnia-Herzegovina, Iceland, Israel, Liechtenstein, Morocco, Macedonia, Montenegro, Norway, Switzerland, Serbia, Tunisia and Turkey. 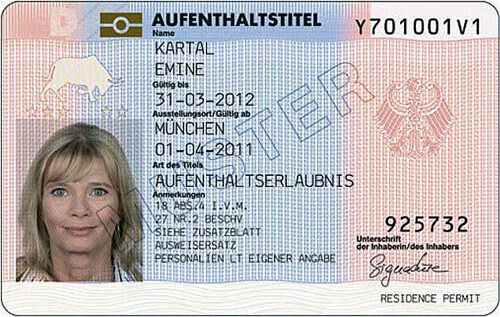 The EHIC covers any type of medicinal treatment in Germany. There are great German health insurance companies targeting students and meeting their needs. German insurance companies such as MAWISTA have been in the industry for many years and are preferred by foreign students. Not only are they affordable, but their tailored student packages such as the Tariff MAWISTA Student Classic are favorites amongst international students in Germany. Without proof of health insurance (public or private), enrolment at a German university is not possible. 3. Matriculate in studies to get the certificate of enrollment. As you’ve found your permanent housing here, next to come is the enrollment or matriculation in studies at the student service office. Do this within the enrollment period within dates announced in your letter of admission. If lacking the enrollment, you’ll not be able participating in study courses, sitting the study exams, neither accessing services of the university nor getting the study degree. The certificate of enrollment will, likewise, is required when registering your address, applying for a residence permit, and to get discounts on leisure activities. Valid national passport. It must show your valid student visa within. Few recently taken passport photographs. You’ll not be officially enrolled just by applying. Initially, a certificate of enrollment will be issued as a temporary student ID until you get the official student ID card. The process is completed when you pay the semester contribution and study fees (if any), right after which you receive your student ID card by post. 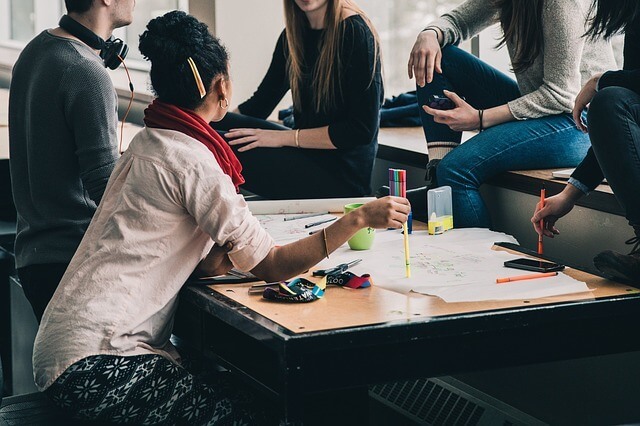 The average semester contribution is 250 Euros, and it covers social and other services of the university, counting the semester ticket for using the local public transportation. The Student ID card sent to you will be accompanied by a unique ID account, e-mail and password on the server of the education provider. You’ll use this information to access internal electronic materials and library resources of the same provider. Note: You’ll need to re-enroll yourself at the beginning of each new semester. If you don’t do that you’ll be exmatriculated, which is being removed from the student register. 4. Open a current bank account from a recognized German bank. Next thing you’ll need to do is getting yourself a current bank account ‘Girokonto’ with a recognized German bank. You’ll that in many cases, such as for paying the rent, enrollment and other study-related fees, registration fee, and other bills. It is likewise needed for receiving any subsidy or your salary. Opening a bank account is normally a free of charge service. Evidence of a student status in Germany. (Any of the following). 5. 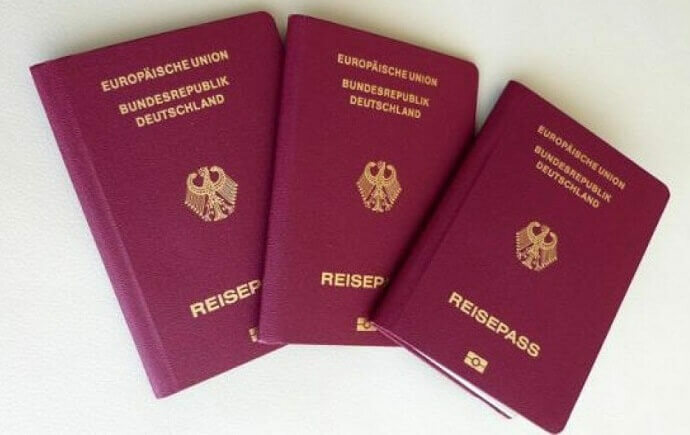 Register your living address in Germany at the ‘Einwohnermeldeamt’. Get a confirmation of registration ‘Meldebestätigung’. In one week from having found your permanent housing, register your living address at the local Resident’s Registration Office “Einwohnermeldeamt” or at Citizen’s Bureau ‘Bürgeramt’. Once completing the application, you’ll receive the confirmation of registration ‘Meldebestätigung’. 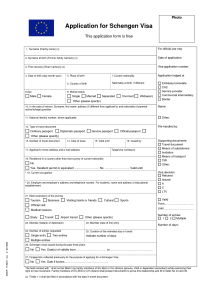 See: Documents you need for registering your address in Germany as a foreign student. Note: You’ll have to repeat the process each time changing your living address in Germany. 6. 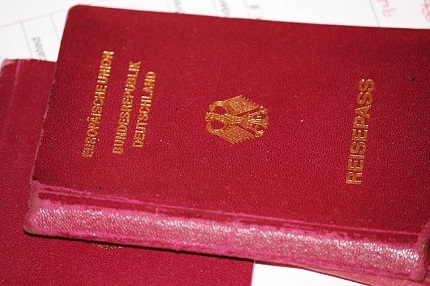 Apply for a residence permit to study at the ‘Ausländerbehörde’. As soon you’ll receive the confirmation or registration, you’ll have to apply for a residence permit for studies. This must be done while having a valid student visa.